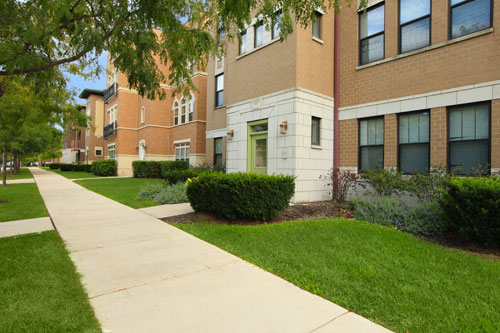 AR Designs was a trailblazer developing the first Wi-Fi broadband community network solution for an under served affordable urban community. 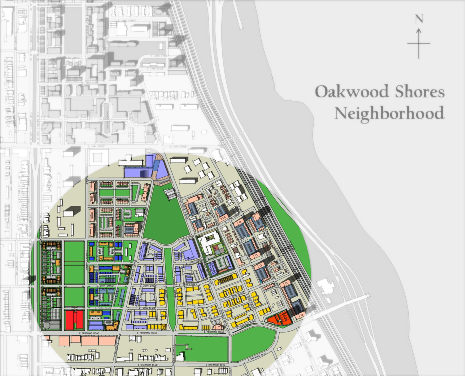 Under partnership with The Community Builders, Inc., AR Designs designed, sourced, built and launched 'OakNet' for Oakwood Shores phase 1 (pictured right). 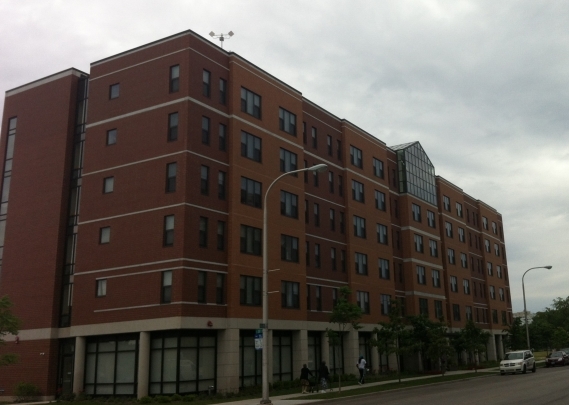 Deployed in 2004, it was a first--an all Wi-Fi wireless broadband community network for an affordable/low-income urban community. 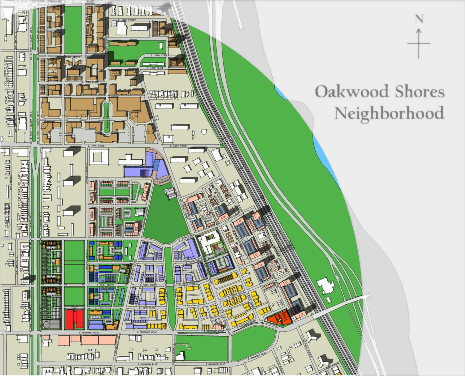 Oakwood Shores was established and expanded through 3 construction phases across two square miles. 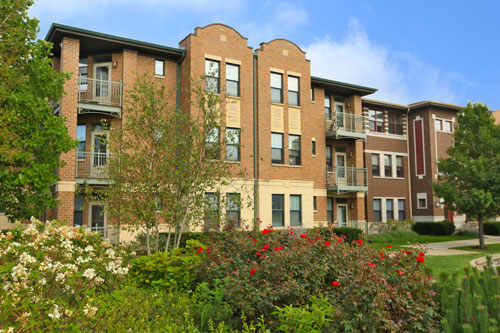 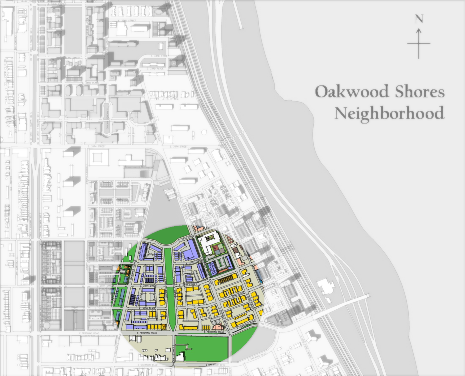 Oakwood Shores footprint expanded through 3 construction phases, culminating with 2 Mid-Rise buildings, a Senior Facility, a Recreation Center, Major Medical Clinic and Pharmacy. 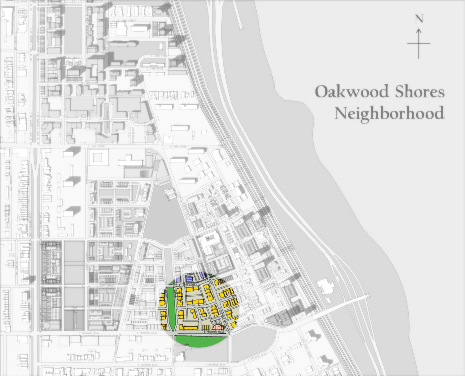 AR Designs has partnered with Windstream Communications to pull fiber to the Oakwood Shores campus and to extend the reach of our network to three other neighborhoods in Bronzeville and Washington Park. 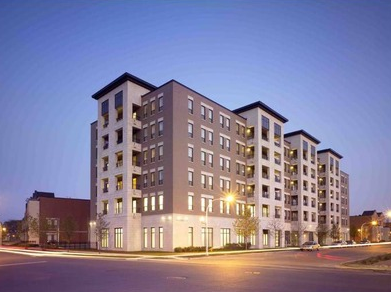 AR Designs also has partnered with IBM to develop a community portal for the userbase which will further promote adoption (digital literacy skills, job training, networking).